Remember the good old days when everything was cheap and good? Tiong Bahru Plaza (TBP) is bringing that nostalgic memory to life with the launch of the ‘Throwback to the Good Old Days’ event! From 6 April to 13 May 2018, shoppers can experience a variety of activities that will send them on a walk down memory lane. Remember back in the 70s when Singapore had its first drive-in cinema with tickets priced at only $2? Relive that outdoor cinematic experience once again with TBP’s Pop-Up Movies on 13 and 14 April 2018, an outdoor movie screening featuring movies from the past such as Shock Wave and Cook Up A Storm, showing from 7 to 10pm. AMperkz members can sign up at the Customer Service Counter and attend the screening for free! For those who would like a full movie experience, simply top up $6 for an inflatable couch, a box of popcorn and a drink. This is an evening under the stars you do not want to miss! From 19 to 25 April, head down to the main atrium for A Taste of TBP from 11am to 8pm daily for a taste of your favourite food at yesteryear’s prices. This is your chance to get a taste of what TBP has to offer, because no one ever says no to cheap and good food. Shoppers get to enjoy a wide variety of food at an old school price of just $1, while AMperkz members can use 100 points to eat for free, from a variety of participating restaurants including O Banh Mi, Bangkok Jam, Hot-Star, Subway, Paik’s Bibim and many more. For those who are always on the lookout for good deals, save on your meals at TBP by grabbing a couple of Food Lobang Coupon Packs for $10 each to enjoy $15 worth of food. 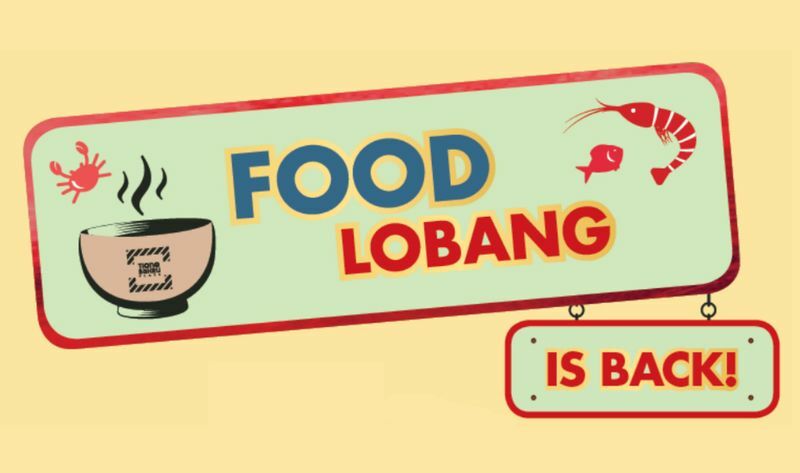 Shoppers can purchase two Food Lobang Coupon Packs and stand a chance to win up to $50 Dining Vouchers with a Food Bingo card! For the health-conscious, head down to experience the Health Promotion Board (HPB)’s Eat, Drink, Shop Healthy Challenge on 21 and 22 April to spin and win prizes, or sample a unique concoction of low-sugar drinks specially prepared by pop-up concept store Ah Heng Drinks Stall from 1230-430pm on 5 and 6 May, for free!